Limoncello liqueur premix is the second most popular liqueur in Italy. Traditionally, limoncello is made from the zest of Femminello St. Teresa lemons, The fresh aroma and taste of lemon makes an ideal refreshing summer drink. This fine liqueur is ideally served poured over a few ice cubes or used as a mixer. 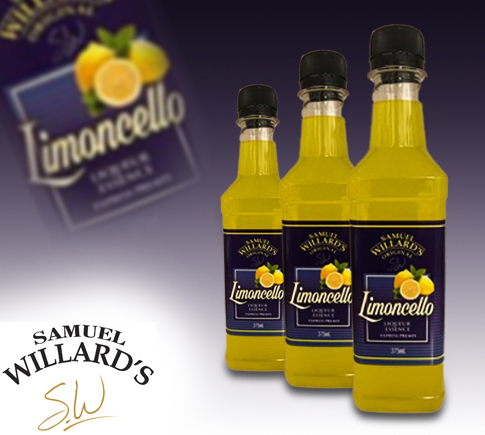 Samuel Willard’s Limoncello premix base produces 1125mL of spirit from each 375mL bottle.